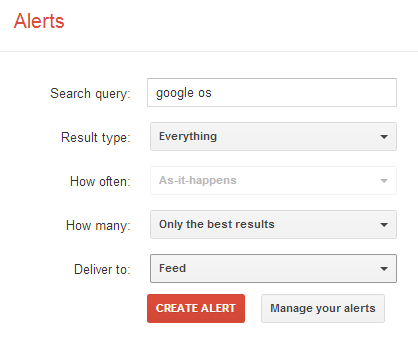 Two months ago, when Google Reader disappeared, Google Alerts dropped support for feeds. Now feeds are back and they look just like before. 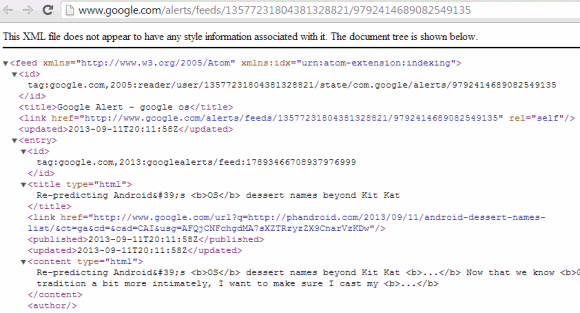 Feeds continue to include references to Google Reader. It's not clear why this feature was removed, but I wouldn't mind to see Google Reader back online. Quietly brilliant.